This is how the non-woven fabric looks like close up. It is a little stiff but not very thick. It lets through light reasonably well. The bottom (or the back part as I have turned the box in the picture) is stiffened up with a sewn in cardboard so that lets through no light. It is also the bottom part that makes the box keep its shape reasonably well – it is not sturdy and it does not have to be either. I use an ordinary printer paper to make an infinity backdrop. For small objects – I use an A4/Letter or Legal size paper in the desired colour – like in the picture above. For bigger objects – I use A3/Ledger or Tabloid papers that fills up the entire box sideways. Either just place the object on the paper and push it up along the back wall as far up as you want it (the weight of the object usually keeps the paper in place) – or tape it in position! I wanted a very easy and quick way of taking the photos – with a repeatable result. I experimented with ordinary office desk lamps – with a long arm that you can adjust. It gave me good control over where I wanted the light – but I had to adjust the white balance to suit the (low energy) flourescent lamps I was using. 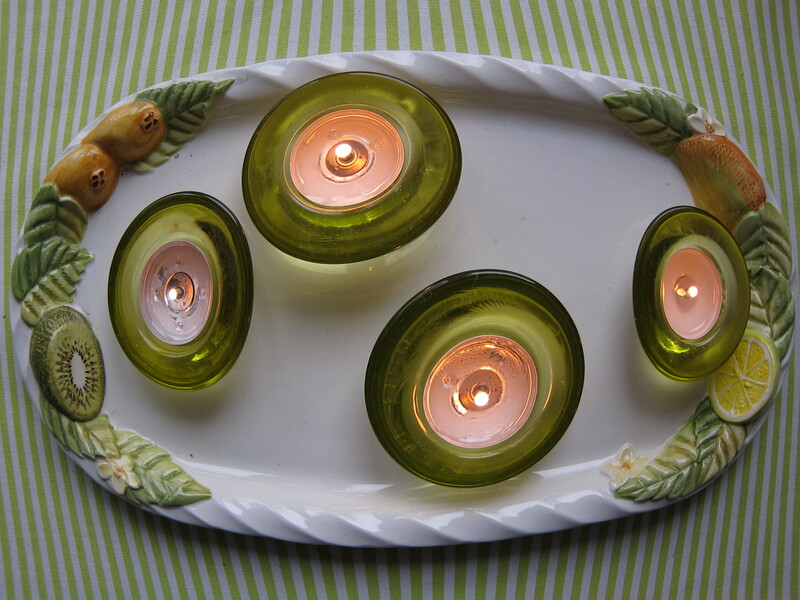 Also it was a little too much to set up – connecting the three lamps – screwing them onto the table – every time I want to use it – as I could not have it just standing there – waiting for me to need it! After some tests I have found a good alternative that works well for me – very easy and with a minimum of fuzz! I put my flash – Nissin Speedlight Di466 on my Canon EOS 550D – the flash head turned straight up! This works remarkably well in a small light/white room – giving a very soft light with very little shadow. The flash is strong enough to allow me to use ISO 100 and still get a nicely exposed image. 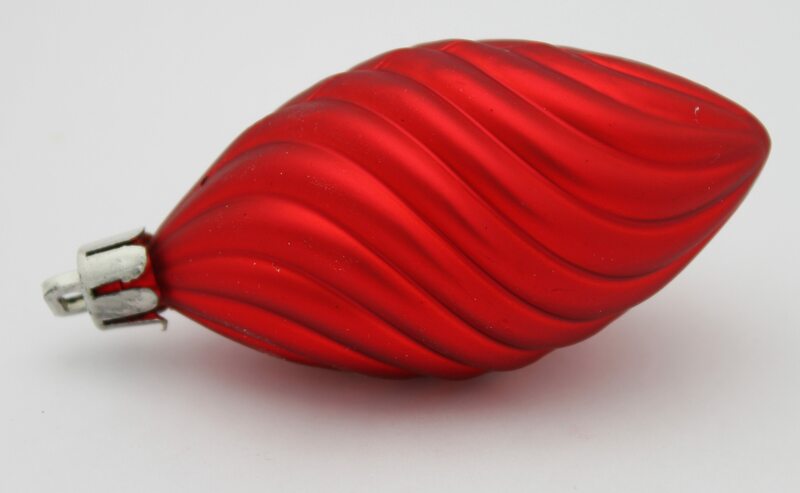 The key is to use it in a small light/white room! That way you get the help of the whole room in softening the light but the room being small and light/white room also helps to keep the light level up! The details come out very clearly with a minimum of sharp reflexes! The automatic exposure TTL II works perfectly this way! No corrections necessary! See the Christmas tree decoration. Notice how little shadow and how softly lit it is. Wanting more shadow/harder light – I just turn the flash directly towards the motif – but I prefer this soft light. If someone tries out the IKEA SKUBB box let me know! 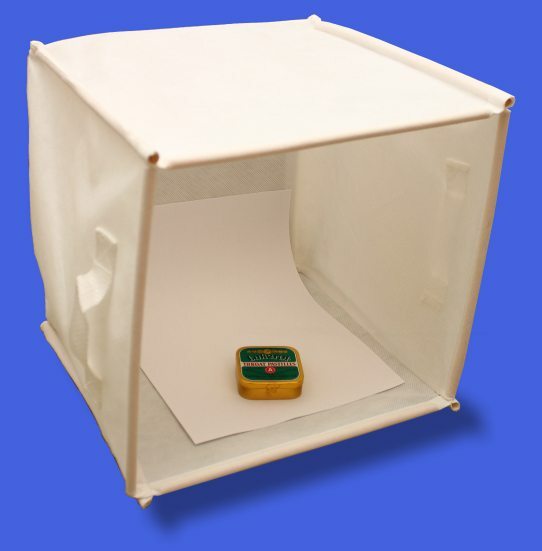 I might want to give it a go – if I need to get a bigger light box! 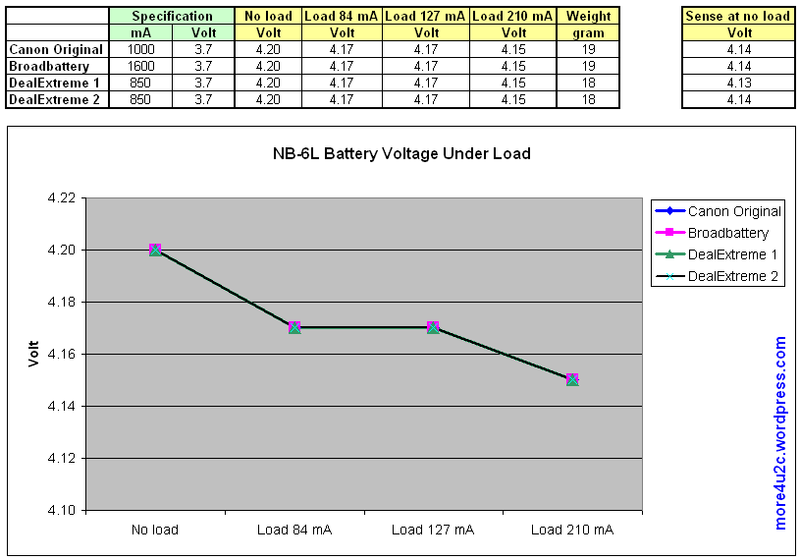 This is a test and comparison of the electrical characteristics of three NB-6L batteries for Canon PowerShot S95 (original and compatibles). After a very long wait (25 days for the shipping) for batteries the two NB-6L compatibles finally arrived from Deal Extreme. Priced at just 3.6 EUR/$5 each including shipping they are really a very cheap alternative to the original which are 15 times as expensive here in Sweden! 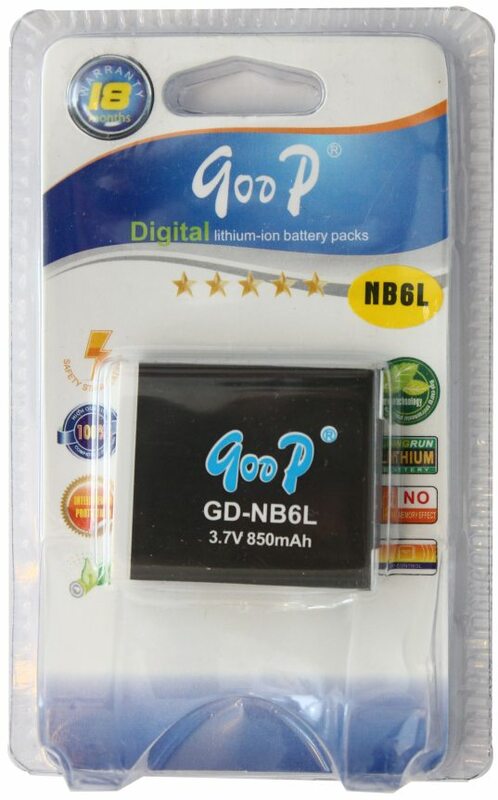 I also ordered one NB-6L compatible battery from an eBay shop called Broadbattery. Depending on where you live and how lucky you are in the bidding it can – at the moment – cost as little as $ 0.90 including shipping! I got mine for $2 + $2 shipping (2.7 EUR/$4). It arrived much quicker after “just” 12 days! Having bought a set of compatible batteries that has worked very well – so far – for my Canon EOS 550D (Read my test of LP-E8 compatible battery here!) I decided to go about it the same way – testing and comparing the batteries as far as I could – before putting them in the camera! The Broadbattery one had less fancy packaging but was still well packed in a padded envelope with an extra plastic “bubble” bag around it! All batteries arrived in perfect condition! I must admit that I always feel a slight worry 😦 about these compatible batteries – so I try to be as “sure” as I can before I give them the GO! I feel that there are two different areas which to consider: First of all is whether the battery is safe – voltage and current wise – that is if all voltages are reasonably close to the original. This I can measure! Secondly, most (all?) Li-ion batteries contain some sort of protection circuitry for short-circuit, overloading and over charging – and this I will not be able to access and therefore can not comment on! NOTE! This test of compatible batteries just shows the results from the samples that I got and that I give NO GUARANTEE that any batteries bought by you will work as the ones I got! Any tests that you make are your own responsibility! The original Canon NB-6L is specified as 3.7 V, 1000 mAh (min 940 mAh) and the NB-6L compatibles are specified as Broadbattery 1600(!) mAh and Deal Extreme 850 mAh so if these specifications are to be trusted – the compatible batteries should give around 60% more or 15% fewer shots. A funny observation I have made with the original is that it seems to “recuperate” to some extent after the camera has switched itself off. Just a few seconds later I can take maybe 5 more pictures – and I can repeat this 2-3 times… One more observation – the original battery goes from full via 2 stripes to empty very quickly – it is not as if the stripes indicate some sort of proportionality…. As you can see from the picture the Deal Extreme compatible is of a completely different design from the original Canon and Broadbattery ones! But size measurements are within 0.1 mm of each other – so size wise there should be no problem! The weight differs very slightly – the original weighing in at 19 grammes and the compatibles at 18 and 19 grammes. All have a good, light but very solid feel to them! After charging all three batteries I set about to measure them under different loads – before even considering to put them in my Canon S95. Charging proceeded similarly for all three of the batteries! NOTE! After getting a “normal” response from all three batteries in the capacity test I redid the following Load tests! The different measurements that I did show VERY SIMILAR results from the original and all of the compatibles! They are so close to the original that it is impossible to pick out the different curves in the diagram! They are like identical twins – measurement wise! This at least convinces me that there should be very little risk in putting the them in the S95! After brooding for a few minutes – first thinking about what could go wrong I then thought about the similarities. All of them the exact same size – should fit well in the camera! They had fit well in the charger – but that is not such a tight fit. Then – as far as I could measure – the voltages under load were the exactly same – so that should pose no problem! The weights were also very close! The text on the package about “100% Compatible” seems to be correct – according to my measurements! The question that is left is that about the protection circuitry – should one trust or laugh at the text about this: “Intelligence Protection” and “IC Control”. It sounds as if it has the relevant circuitry … Bad english can be forgiven – but to find out if these statements are true I would have to open the batteries and this I will not do! For capacity measurements of these batteries look HERE! Now I have all the NB-6L batteries that I need for my Canon PowerShot S95 – for a very low price! The short story: 1 Take a number of overlapping pictures 2 Join (stitch) the panorama together using software! If you look at the first row above – where all the separate pictures are shown – you will see that there is an overlap between each neighbouring picture of around 30%. That is: the same part of your motif appears in two neighbouring pictures! (See the illustration on the left – the grayed areas of the motif are the same in both neighbouring pictures!) The amount of overlap is not critical – but if you have too little overlap the software that you use to stitch the pictures together might have problems finding common points! If you have too much overlap that just forces you take more pictures to get the coverage you want – that is ineffective but will probably not hurt! At the same time you will get more pictures that has to be stitched ==> giving more joins that might be seen! So my advice is try to keep the overlap at 30% (optimal) and not higher than 50%! Use the zoom to decide the how much of the motif you want to have height wise and let the number of pictures decide how much width you want. To achieve this overlap take the first picture and then rotate the camera (in the Chania example above) to the right – but make sure to keep part of the first picture in the second one as well! Then you just repeat this over and over again till you have covered as much as you want. Maybe you are satisfied with just two pictures – or you might want to go the full 360 °. In the illustration on the left you can see this! See the overlap of the pictures as three bars in the top of the illustration. Take the first picture (green 1) then rotate the camera (according to the green arrow) – but only so much that you still have about 30% left of the 1:st picture. Take the next picture (lilac 2) then rotate the camera again – keeping 30% of the previous picture . Take the next picture (orange 3). Repeat this for as long as you want! A lot of cameras this season has something called “Sweep Panorama” or something similar – in which you just press the shutter button, slowly sweep the camera sideways, release the button and then it automatically creates the panorama picture. As convenient and quick as this might be – and fun to see on the small 3″ display – as sad you will be at home on your 24″ computer screen – when you realize that what you got it is just a low resolution panorama! I don’t want to kill anyones joy about the “Sweep Panorama” – it certainly has its uses and it is fun! It is just that it is a low resolution panorama – but sometimes that is enough! This post is about creating – with minimal extra effort – beautiful high-resolution panoramas using any camera and separate software! For all three alternatives below – if you have an evenly lit motif – you can of course skip the steps concerning locking exposure to the most typically lit part of your motif and just start the sequence of at the first picture! 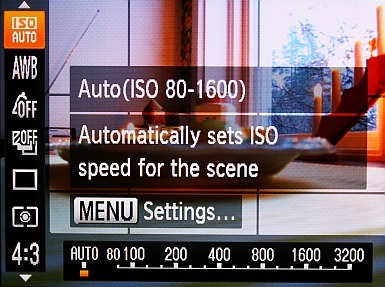 Select your panorama mode – on the Canon S95 it is called Stitch Assist and can be found as one of the scene modes. 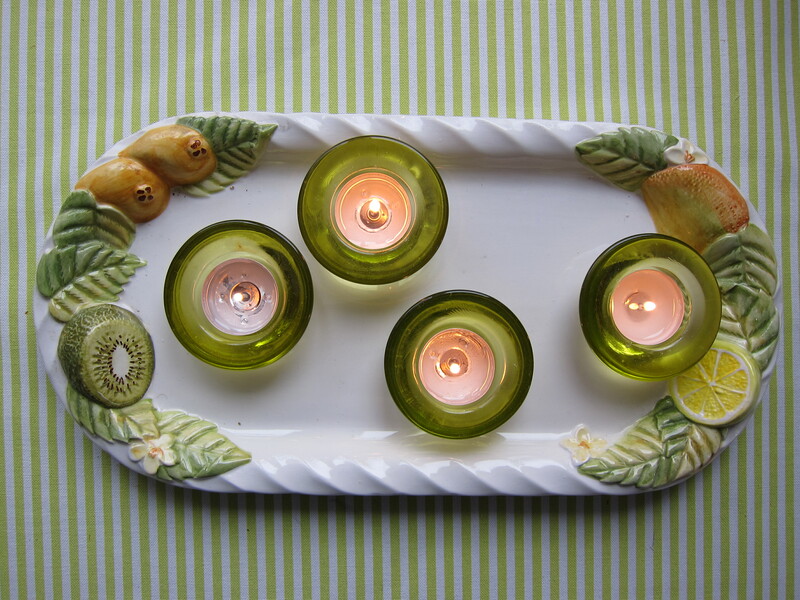 Look at your motif and decide which part of it is most typical – lighting wise. Halfpress the shutter button to lock exposure and white balance on that typical part of the motif. Reposition the camera to the most left or right part of your motif – and take picture no 1. Take the following pictures – making sure to line up the pictures according to the Stitch Assist. You are ready – on location! Assuming the motif is relatively evenly lit! Take the following pictures – making sure to overlap 30-40% with the previous picture. Also try to align the pictures vertically as best as you can. If your camera has the ability to lock the exposure and the white balance you should do that to the most typical part of your motif. Actually you could follow the four step description below! Lock exposure and white balance on that typical part of the motif – and keep pushing the lock exposure button for all pictures! On the Canon EOS 550D it is the button marked with a “*“. Also try to align the pictures vertically as best as you can! When I use my DSLR for panorama shots I usually do around 50% overlap – just because I find it is easier! Whatever is at the mid focus point I will move to the edge of the view finder and take the next picture – thus making it around 50% overlap. It would be even better to use the second focus points (the ones to the side of the middle) to give around 30% overlap. But as I said I find it easier to use the middle one – and the cost is just a few more pictures…! One question that I have got is if it matters what lens you have? Well, it affects the result but all lenses, wide-angle or normal or tele, can be used to take panorama pictures! With a wide-angle you can of course cover the same panorama area with fewer shots – but usually a wide-angle lens will not give as good result as a normal or tele lens because of straight lines being curved and vignetting (see below). The fact that you can use any lens, wide-angle or tele, means that you can use this to your advantage. With a wide-angle lens you will, as I just said, cover a bigger area with fewer pictures – to cover the same area in a tele setting you will have to take more pictures to cover the same area – probably layed out in a matrix – as I have shown in the illustration on the left. This also means MORE pixels and a sharper picture! This is actually how the Giga-pixel pictures are made! Remember to overlap! Many zoom lenses will give a vignetting effect (darker corners) in its widest setting – this might be seen when you stitch the separate pictures together to a panorama picture. This is especially easy to spot in even same coloured areas like the sky but more difficult in uneven areas like trees or grass. (See sample at the left.) 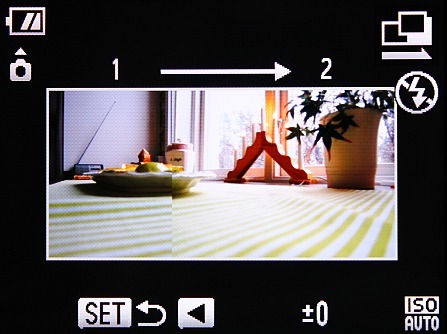 Do test this to see if your lens/camera suffers from this – you might think it is allright! If you find it disturbing you can avouid or lessen the vignetting by zooming in just a little, say from 28 mm to 35 mm (equiv). You can also increase the overlap a little so that you will not have to use the (darker) edges of the pictures. Some cameras even corrects this vignetting in-camera for many lenses. No matter which one of the three alternate ways above that you used you should now have at least 2 overlapping pictures! But you can have many more than 2 – you can have many hundred pictures! You will need to join together these pictures using a special software! This is often called “stitching”. You probably got this type of software on the CD with your camera but there is also many other alternatives – both free and commercial. I was recommended the free Microsoft ICE software about a year ago – and it was so good that I have not used the software that Canon shipped with the cameras since then! 🙂 I will describe the joining/stitching process using Microsoft ICE. The general process is soo simple! Just drop the pictures on the Microsoft ICE window – and the software will do the rest! The software will figure out how the pictures relate to each other – both sideways and up-downways (is it called that?). It will also figure out the camera motion – how the pictures were taken – if you were moving or turning the camera. If you just have a few (2-5 pictures) the software will be ready in just a few seconds – presenting a joined together picture as the one above. The above one consists of 3 pictures. I will here assume that you are pleased with the result and want to save it as a JPG image of the largest possible size. First you will have to get rid of the uneven edges – press “Automatic Crop” and a white rectangle will frame the picture just inside any uneven edges! Second you will have to decide JPG quality. For now I recommend you let it stay at 80. Third you will have to decide what size/scale you want the saved picture to have. I recommend to go with 100% – which means that all of your pixels will be used. Fourth you press “Export…” and decide what name your panorama picture should have. This affects the picture in three ways: If you have bad alignment vertically the resulting panorama picture will be low – meaning that a lot of the top and bottom of the pictures will have to be cropped away to get even edges! 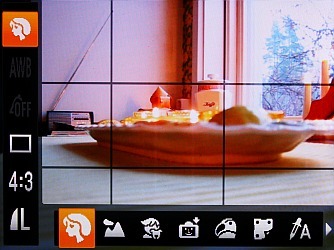 If you do not have enough overlap – around 30% minimum – the software might have difficulty in joining together the pictures. 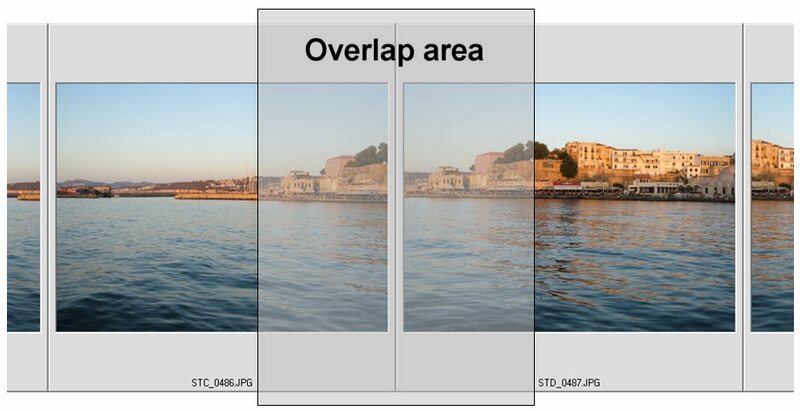 If you have too much overlap – you will have to take many more pictures to get the coverage you wish. If you do not hold the camera horizontal or the resulting image might be crooked! (Thankfully, this can be corrected in ICE – see below!) Most of the time the software will succeed and you will get your panorama but it will be a little limited. The Chania picture above has one very typical challenge when you take panoramas with water – waves! Any moving parts of the motif will be a challenge! It might be waves, trees, people, cars, … etc. (See sample below in the “Software Section!”) You can accept the flaw in the picture or you can maybe try again with better success … or you can use your favorite image editor to fix the picture. Waves are a real challenge! Wait for the waves to look similar at each picture you take. You will probably have to fix the resulting flaws in your favorite image editor. This is also true for the few/small flaws that you might see from the software join. One fun tip is to actually let a person appear several times in the resulting panorama picture – just ask the person to move into (preferably the middle of) each picture as you take it! Under this heading I have also put vignetting (dark corners) of pictures. 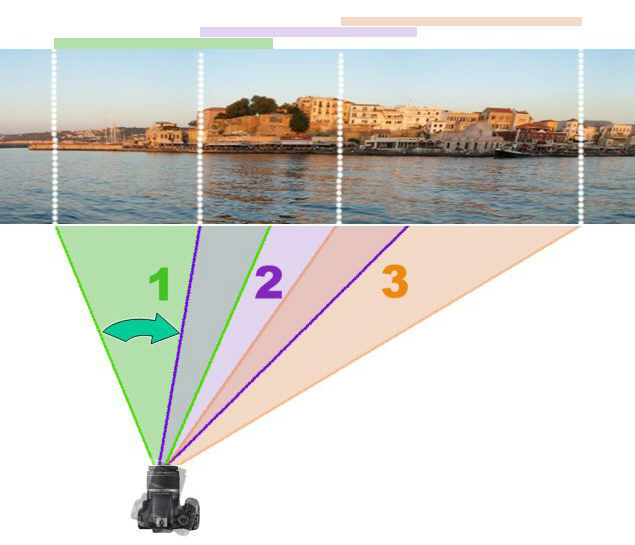 Most lenses will show some vignetting at their widest angle – this can show up on the panorama picture as a darker band where one picture is joined with the next. Most of the time this effect is so small that you wont have to worry about it! In Canon EOS 550D this is even corrected for in-camera so you do not have to worry about it! MIcrosoft ICE handles some of this effect also. Most compact cameras do not do this – so in order to avoid vignetting – if your camera/lens is much affected – you can minimize the vignetting by zooming in just a little. We are now almost into advanced usage so I will not go through it fully but just mention that you can usually fix slanting or curved/crooked pictures and you can correct or even exaggerate the perspective by clicking the little 3D cube on the toolbar! Move the mouse around over the gridlines and you will see several different alternatives to move and rotate the picture – click around and try things out! I have found only one – so far – that I think fills most of my requirements – Microsoft ICE – even if I would liked it to have more manual possibilities – to “help” it when it is faced with a difficult set of pictures! Many programmes are commercial and of those I have only used the ones that are included with Canon (PhotoStitch – an older version also as a free download) and Nikon (ArcSoft – a few years ago) cameras. Other programmes that are free have often very complex ways of using them – but at the same time some are often extremely flexible and adaptable – a good choice if you want to/need to tinker around manually a bit! For over a year now I have not tried any other than Microsoft ICE software because – I simply have not seen the need! Also it handles the panorama “challenges” very well. I especially like its ability to really stitch the pictures together – not just blend them along a straight line – and to even out exposure and white balance between the pictures! The only drawback I have seen so far is that ICE only allows some limited manual control over the panorama creation – especially frustrating if it can not automatically join the pictures – and I know that I could help it along manually! Remember that no software is perfect all the time! In the few cases when ICE fails I usually use PhotoStitch – because it allows me to manually set the common control points – to at least get a panorama – even if the quality is not as high as with ICE. But I can not help even PhotoStitch by specifying where it should do the blending! See the samples above from a busy street in Sacre Coeur, Paris on how Canon PhotoStitch and Microsoft ICE handles the tricky moving people challenge! Notice the half seen blended man in the middle of the PhotoStitch sample (the one on the left) – not so good! ICE (the one on the right) have put the stitching in somewhere else … but where? 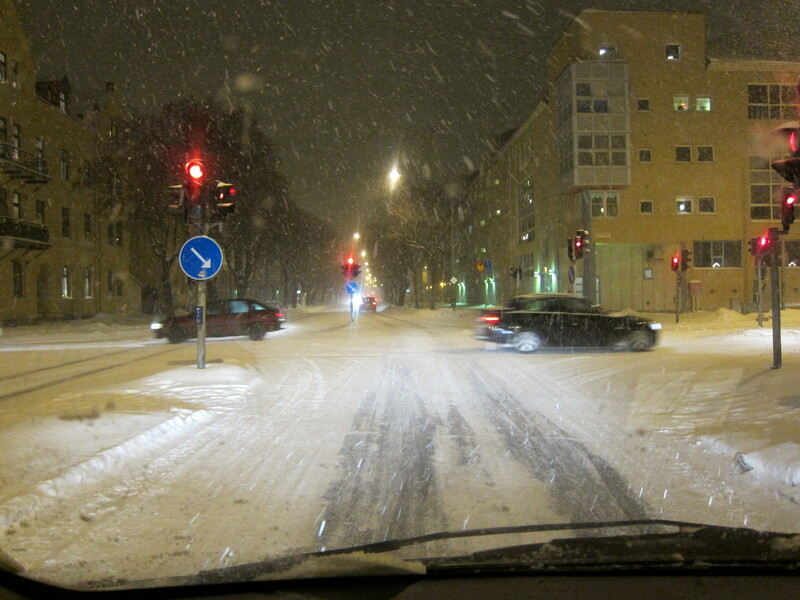 Taking into account that this is a really busy street with lots of moving people – the ICE result is perfect! Print the best out at a good photo lab – panorama pictures are really on their own when printed out i big size! Good luck with your panoramas! Handling a camera is what you do all the time so you will have to be comfortable with it! 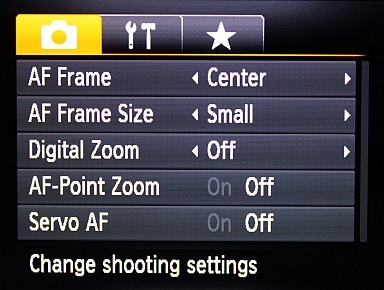 It takes some time to get accustomed to a new camera – to find your way around all the settings! Sitting down with the camera in one hand and the manual in the other is usually a very good thing and well spent time! (except that it is very hard to try out things with the manual in one hand… 😉 ) It will help you get the most out of the camera! Recommended! Still (to me) the most irritating thing with holding the camera is the push-up flash! I have not dropped the camera yet – but I still get a real unpleasant surprise every time the camera pushes the flash up – or down! … and at the same time pushes my fingers away – because that very place is my favorite place for holding the camera! The flash motor is quite strong! Switch-on is rather quick! Just 2 seconds to extend the lens, focus and take the picture! And even slightly faster at switch off. That is fast for a point&shoot camera! Taking pictures in continuous mode is not that impressive but OK – at almost 2 pictures/sec without focusing in between. With focus for each picture its only 0.7 pictures/sec – that is one picture every 1.4 second. 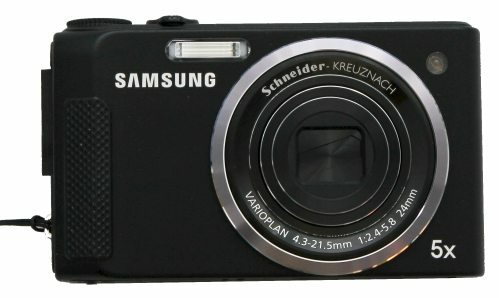 Here cameras like the Samsung WB2000 really outrun the S95 with ease at 10 full resolution pictures/second – admittedly for just a second – but still…! It seems as the S95 can go on “forever” – or at least till the memory card is full! I liked that but I will probably never use it! Zooming from full wide to full tele takes around 3 seconds which is quite alright! Most zooms on compact cameras are not fully continuous but rather has a number of steps – the S95 has 9 zoom steps to choose from. Not that many steps really – but the zoom is just 3.8 x so I have not felt any limitation in finding a suitable focal length! 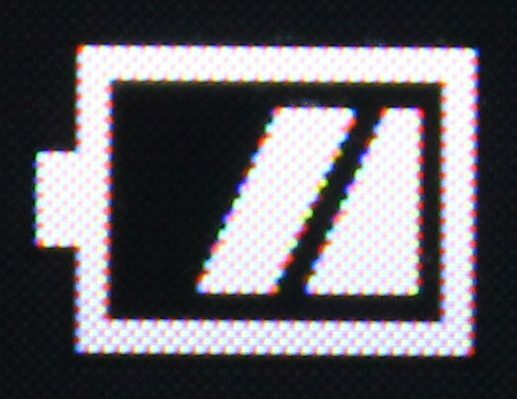 I feel I have been kind in choosing not to show the red “empty battery” symbol! It would have been appropriate! The S95 eats power – or the battery is not powerful enough! The Canon NB-6L Li-ion battery has a capacity of typically 1000 mAh (min 940 mAh) and it runs out very quickly. As I have had the S95 for such a short time yet I have no real world figure for the number of pictures you can take on one charge. Judging from how little “playing time” I have gotten out of the charges so far – it will probably just be around 200 pictures – so I have bought TWO extra batteries (compatibles). Read my test of them here! The S95 has HD filming at 720×1280 24 pics/sec – this is an improvement over my old Ixus and over the S90 which just had VGA 640×480 but it is a step down from the Samsung WB2000 which sports full HD. The movies are not bad at all – the image stabilizer works well during filming and even out most small vibrations! Exposure is well handled during filming. The zoom does not work during filming – the digital zoom does but spoils the quality! Worse is that the focus does not work during filming! Because of this the S95 can not really be fully used as a movie camera replacement! Still it is great fun to be able to film in HD – but a little limited because of the inactive focusing. Having no zoom during filming is easier to accept – I think. Well, you know by now that I do NOT like the push-up flash! Except for that the flash seems to work alright. Actually a lot better than just alright! Probably the best flash I have seen on a compact camera! At the lowest ISO (80) and F2.0 it easily lights up a decent size room. No problem at all with 7 meters/23 feet distance indoors – maybe even longer – but my testing room is not any longer! Could be that it is as good as this because of its f2.0 lens… And still it will not blow out pictures at just 15 cm! Is this the advantage you get for having a push-up variety? 😉 Dpreview just put up their review of the S95 and according to them the flash is underpowered – I beg to differ on that one! In bright light the focus is fast and responsive! As it grows dimmer the focus goes slower and much more particular on what it focuses! In low light conditions the amber/orange Auto-Focus Assist beam will assist the focusing a little – but it is not super. 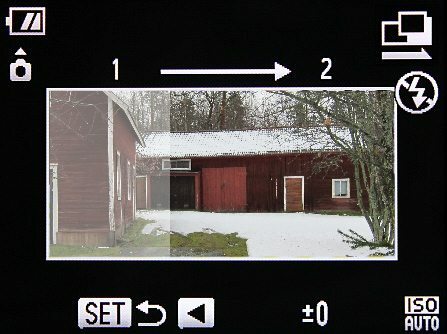 Also, it generally can not focus on just a horizontal line – common with a lot of cameras! Just tilt the camera a little – and it will be able to focus! I will cover a lot of the functionality of the Canon PowerShot S95 in this review but I will skip over some of the more common features. I will cover them with my view to how design and handling should be implemented! I do realize that you might not agree with me on all of my comments but at least you will be aware of another way of seeing things! The S95 has a myriad of different settings and modes and I would point you to the very good dpreview site to read (when their S95 review arrives) about all of these features! 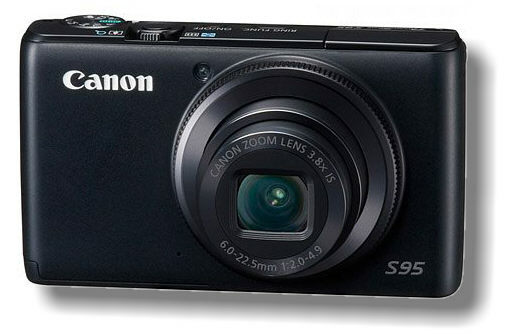 I will focus on, what I consider to be, the most important and interesting features of the Canon PowerShot S95. As many compact cameras the Canon PowerShot S95 actually has two co-working menu systems. One is accessed via the “Func set” button and the other via the “Menu” button. The menu systems are important so I will give you a quick rundown of the features/functions and settings of the dual menu system! 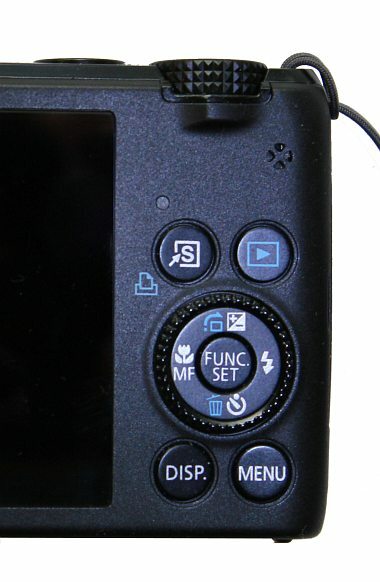 Pressing the “Func Set” button while in camera mode brings up the “Function menu” along the left and bottom edges with a lot of different settings! On the left all the different settings will be shown – scroll down to see more – and along the bottom all the values to choose from is shown. In the picture to the left you can also see the hint that is shown for a few seconds after you select a new setting. This hint can be switched on or off in the Menu settings below. What settings you can adjust depends on which mode you have set. Here I will list the settings in the “P” mode. Great idea – will be interesting to try it out! Max ISO value is selectable for Auto ISO! Good! See below! Focus bracketing is new to me – will be interesting to try it out! The “Menu” button will bring up a traditional menu system – tab and line based. Move the highlight to the line/setting you want to adjust with up/down arrow and select the value you want with right/left arrow. The last line can be used for a short hint and tip of each selected line in the menu. This menu system will let you do a whole number of settings and customizations! The alternatives you get depends on what setting you chose from the “Mode dial”. I will only mention the ones you get in “P” mode. Auto focus point zoom. On, Off. Enlargement of focus area. After you have focused a box with the focus area enlarged will appear in middle of screen. Servo auto focus. On, Off. continually refocuses while shutter release if half-pressed. Manual focus point zoom. On, Off. Enlargement of middle area will appear in middle of screen. ISO auto. Set max ISO value to 80-1600. Set how fast change is to happen. I truly like being able to set this! Good! Review is terminated as soon as you touch the shutter release button – so you can go on and take the next picture even if you have a long review time set. I would very much have liked to have had the really handy Ixus feature of showing the just taken picture – for as long as you held the shutter release button pressed. Custom display. Set up what info you want to see in the two “Disp levels” mentioned above: Detailed shooting info, grid lines and focus check. Before leaving the menus – there is one more feature of this camera that you could have some use for:The Favorites Tab or My Menu Tab! Just select the from ordinary menu items and they will appear in the “Favorites Tab” – the star marked tab! If you have registered items on this tab it will also be the tab that is always shown whenever you press the “Menu” button. Having gone through the two menu systems I will now focus on, what I consider to be, the most important and interesting features of the Canon PowerShot S95. It will be a mix of small and large – I suspect in no particular order – at least not when I write – I might arrange it in a “proper” order after I finish writing! 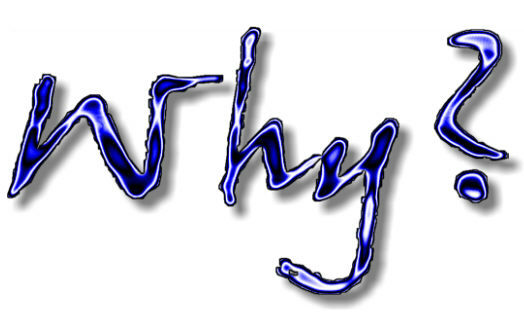 If you have a request for me to write about a specific feature just put it in a comment and I will try to oblige! This has 19 settings that you can choose from: Portrait, Landscape, Kids&pets, SmartShutter, SuperVivid, PosterEffect, ColourAccent, ColourSwap, HDR, Nostalgic, FishEye, Miniature, Beach, Underwater, Foliage, Snow, Fireworks, StitchAssist left & right. The names are pretty much self-explanatory… Each of the different scene modes are set by pressing the “func set” button and selecting the desired mode. I will go through the ones I find most interesting. I am not a very frequent user of these scene modes – but they come in handy every now and then – especially the StitchAssist! I mostly use P, Tv, Av. SmartShutter is a fun 🙂 one – a built in photographer! It automatically takes pictures – if one of three different condition is met. – Second is the WinkTimer. It works in a slightly different way, more like a self timer that is triggered by a wink. You have to press the shutter button to start the camera detecting winks. As soon as the camera detects a wink it will start the self timer for a two second countdown and then snap off a picture. It is reasonably good at this – better than detecting smiles! You want it to take more pictures – then you have to press the shutter button again! – Third is the SelfFaceTimer. It works as the WinkTimes – but is triggered by one more face entering the picture frame. You have to press the shutter button to start the camera detecting new faces. When this happens it will start the self timer for a two second countdown and then snap off a picture. Again if you want it to take more pictures – you have to press the shutter button again! For all three conditions you can set the number of pictures (1-10) the camera should take at each time the selected condition is met. All three seems to work best if the face is in the center area of the picture and if there is plenty of light! HDR (High Dynamic Range) is quite useful – for stationary objects and stationary camera! Swaying trees, moving water, moving people … camera movements all will more or less spoil the result so steady is the way to go! To get a predictable result – use a tripod or other steady object. With HDR set the camera will take three pictures in a “burst” and combine them into a single picture with extended dynamic range. The camera is not that fast so there will be a noticeable delay between the pictures – putting demand that the subject is still for just over 1 second. It is nothing at all like the impressive HDR pictures you can see all around the web – but it is quite handy in situations when you have a higher than normal dynamic range. I will add a couple of sample pictures soon. Miniature keeps a horizontal area of sharpness stretching over the picture and blurs the rest. This gives (on some motifs!) a very good illusion of a miniature. You can move the sharp area up and down over the picture – even if the best effect is usually achieved when the sharp area is in the lower half of the picture! It stays horizontal if you turn the camera vertical – just like it should! 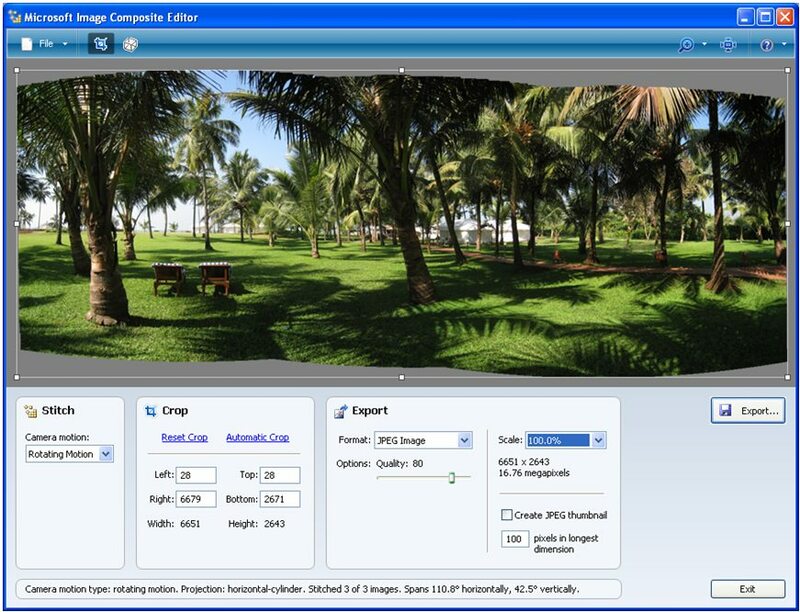 StitchAssist – helps in creating real high-resolution panorama pictures. The S95 has a very good – in my opinion the best type of – support for this! You can use it to take panorama pictures going to the right or to the left. There is no support for up or down – that is with the camera in landscape orientation. As you take the pictures a part of the previous picture will guide you in achieving the best possible line up. (I have put a light white cast over that previous picture part – so it is easier to see what I mean.) Small jumps between pictures – like the jump in the middle of the black door – and much bigger ones – will be fixed in the panorama software! They matter very little to the quality of the resulting panoramic picture – but they reduce the height of the picture slightly – so try to keep the pictures aligned as best as you can! The camera locks the exposure and the white balance when you take the first picture (or rather when you half-press the shutter button on the first picture) so be sure to pick the best spot for the exposure and then reposition to start the panorama sequence. If your motif is evenly lit you can skip that part. You can take up to 26 pictures in a panorama sequence. Canon names the pictures ST+a letter A-Z + “_” + a sequential 4 digit number. (Ex: STA_0123.jpg) This identifies both the sequence of picture and which picture in the sequence. BUT it plays havoc with an ordinary alphabetical file listing! Why Canon just did not name the Stitch assisted pictures like all other pictures IMG_0123.jpg – with the letter from above just appended to the filename? I do realize that with the STx_nnnn.jpg naming convention all the Stitch assisted pictures will be listed together – but in an amazing jumble… Anyhow you stitch them together with a software on your computer – and you might as well rename them while you are at it! 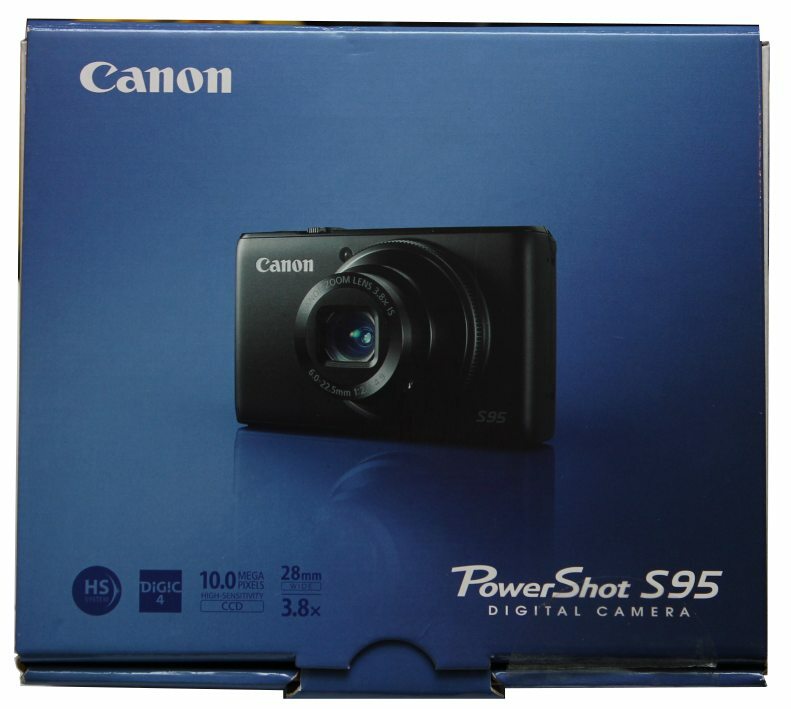 Having started with the box this in this Canon PowerShot S95 review I will continue with the exterior design and handling. This is what I have noticed with my eyes still “new” – that is after just a few days of usage. Before I have gotten used to the quirks and doubtful design decisions – and all the good stuff also! 😉 As time goes by and as I get more and more familiar with the camera I will stop seeing and will just be accepting… 😉 This is a premium camera and you should be able to expect top-notch design and handling! Look out for my blue “Canon – please rework this!” – when I see something that I think Canon could have designed or implemented in a better way! Well, let us get on with the review! Starting with the top (lens facing forward) this is a classy looking camera! The top being glossier then the rest of the camera that has a matte non-slip surface. On the far left is a hole for attaching the wrist-strap (Yes, there is one, probably more often used, on the right hand side as well!) then is the lid for the pop-up flash. The flash is pushed up quite rapidly and pulled down as rapidly again by a motor making a sort of a little cute “oink” sound. My first observation – having used the Canon S95 for just a few days: this push-up flash is NOT so handy as it seems! Yeah, I can live with it but would certainly have prefered not to… I do hope that is because of a space problem or another constructional problem – and not by design! 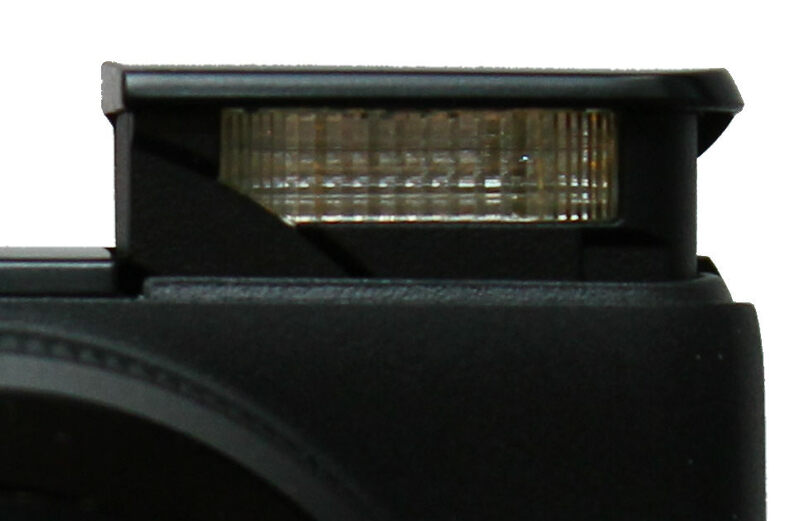 But on the other hand as most other compact cameras manage to find room for the flash on the front plate I wonder why this Canon has chosen this design solution for the S95?! It is quite annoying to have the flash pop up as you switch on the camera! The motor is quite powerful and also quite abrupt – pushing away your fingers in a very impolite way! The left hand corner is a very common place to place your fingers when holding the camera… Well, I assume that we S95 owners will have to relearn the way to hold our compact camera when we switch it on. 😉 At least it only pops up if you have switched on the flash in the menu! 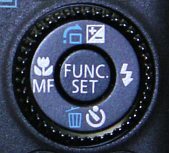 But if you forget to switch it off after use – you will have the unwelcome pushing-up-flash surprise (PUFS) when you switch the camera on again … Here comes the first: Canon – please rework this! 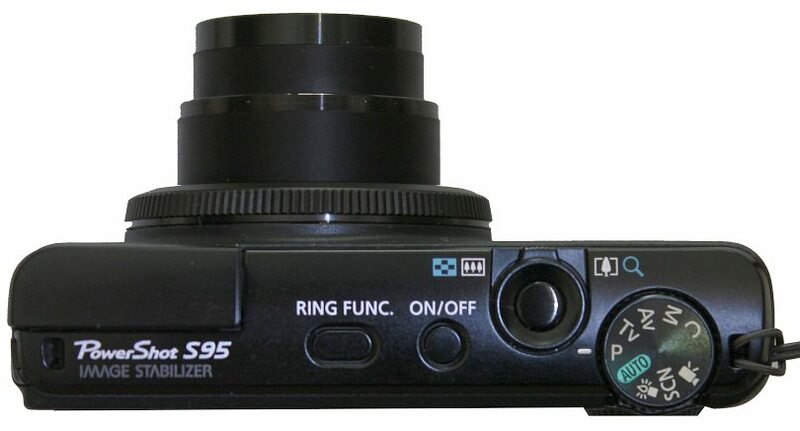 Then is the shutter release button and zoom lever – surrounded by a raised ring – making it easy to find. At least to my finger length it is placed at exactly the right distance from the right hand edge. BUT … the button itself is a too small to my liking. The IXUS 860IS had a much better (bigger!) size button… This is after all maybe the MOST central button on any camera! To the far right is the Mode dial with all the modes you could desire – Manual, Aperture value, Time value, Program AE, Auto, Low light, Scene and Movie. Once again I will have to point out that I think the click stops are too stiff! Changing the mode dial is something you can only do with one finger (the thumb!) on the fluted edge of the mode dial – and it is NOT easy enough to turn the dial! The ridges are absolutely necessary as the dial is not very high – and it is not easy to get a good enough grip to be able to turn the dial without pressing rather hard! Ok, it works – but this is a premium camera – so I expected better design than this! The Samsung WB2000 had a better design and implementation of this! Here comes the second: Canon – please rework this! I do hope it gets better by wear! Moving on to the rest of the controls on the back – just below the mode dial is a small quad of holes for the speaker. There is a small green/orange LED – used to indicate a few things. Blinking green: access to the memory card, Steady green: focus ok, Blinking orange: shake warning and Steady orange: Flash ready. To the right of that is the “Playback button” – as you probably guess this will play back/show the pictures and movies taken. Even when the camera is switched off it can be pressed for >1 sec to switch on the camera in playback mode (the lens does not extend) which is handy. By using the zoom lever you can go from the normal mode of showing 1 picture full screen to 4, 9 or even 36 thumbnails! The S95 handles the playback with ease and even use two different transitions when you change picture by pressing on the left or right on the fluted ring below – or if you rotate fluted ring. Zooming in and out of a picture is very fast and responsive! Jump directly to full screen from zoomed in by pressing the “Menu” – button. When zoomed in you can also move around by pressing on the fluted ring in any of the four directions. One handy feature if you want to compare several pictures zoomed in to a specific area – just rotate the fluted ring and the next or previous picture will show – zoomed in at the same spot! Below those is the “Control Dial” – a combination of a rotating fluted ring and a button in the middle. (It has almost exactly the same layout as the Samsung WB2000.) It is used in many different ways. I will mention most of them but I do not claim to be complete. First of all is pressing the fluted ring by the printed symbols in the 4 main directions which will activate the following settings. Left: Macro, Normal or Manual focus. Right: Flash auto, Flash on, Flash slow synch or Flash off. Up: Exposure compensation +- 2 steps. Down: Self timer – quite advanced – set timer for 1-30 secs and 1 to 10 pictures taken. The fluted ring and the “Ring function” is used to adjust many of the settings. The fluted ring and the button in the middle (“Func Set”) is used to confirm many of the settings. Pressing the “Func Set” button while in camera mode brings up the “Function menu” along the left and bottom edges with a lot of different settings. What settings you get depends on which mode you have set. 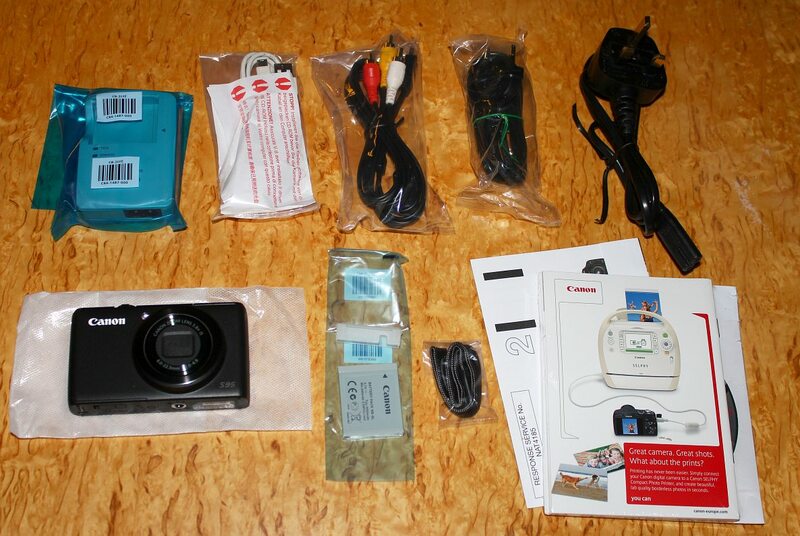 (Look in Canon PowerShot S95 – The Features to see a description of the features.) If you hold the “Func set” button pressed for a few seconds in camera mode a crazy animated boxy clock display will appear… turn it into vertical position for an even more crazy effect! Next is the “Disp” button which lets you select what information to show on the display. In camera mode it will switch between two customizable levels of displayed information. Via the menu you set up what info you want to see in each level: Detailed shooting info, grid lines and focus check. In playback mode you have four levels of displayed information: No info, Simple info, Detailed info and Focus check. The “Disp” button will also set the display at its highest brightness – if pressed for more than 1 sec. The last – but not the least important button is the “Menu” button which will let you do a whole number of settings and customizations! The alternatives you get depends on what setting you chose from the “Mode dial”. 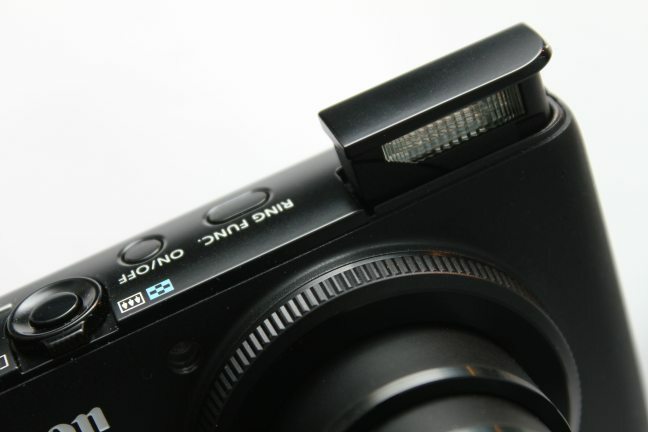 (Look in Canon PowerShot S95 – The Features to see a description of the features.) The “Menu” button also zooms to full screen in playback mode – which is quite handy! The display is a very good – 461 000 pixels. It is bright and has a very wide viewing angle – close to 180 degrees in all directions! 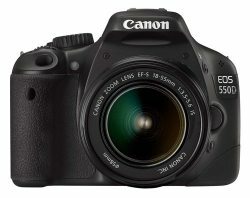 It is good – but not as good as the Canon EOS 550D which has 1040 000 pixels on roughly the same size 3″ display (but the 550D is 3:2 and the S95 is 4:3) and a slightly better anti-reflex coating. It is a very compact box – and quite heavy for being such a small box! Very subtle design in a bluish color as you can see on the picture to the left. With great excitement and expectations I opened the box. As I cut the box seal in the lower righthand corner I just remembered that I had (once again!) forgot to ask for the proper EU-plug for the battery charger…! 😦 But as you will see that little problem had already been solved for me! I remembered checking the web for information on the box content and (at least my quick search) did not turn up any answers. Here it is! It is filled to the brim with stuff! 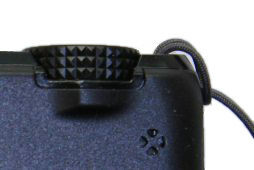 The wrist-strap has no little tightening “ring” on it like my previous ones from the Ixus-line. Nothing much to complain about – but that tightening “device” gave a little extra security – could have been handy on this little beauty! Another thing I noticed was that (I think this must the first camera ever that I have seen with this!) it has TWO holes for attaching the wrist-strap – one on the left and one on the right! Talking about cables, as always … there is no HDMI cable included! 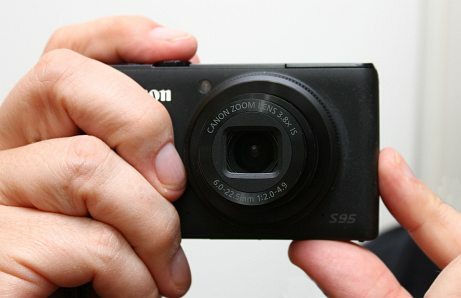 Continuing the review of the Canon S95 soon!